Successful ITFM implementation requires resources, communication, organization, and strategic and tactical alignment. 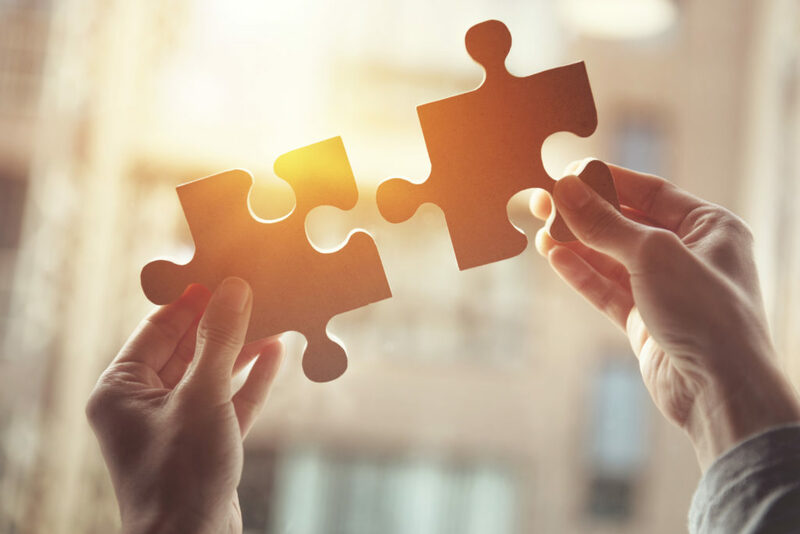 In the last blog, we discussed the importance of creating a cross-functional steering committee as the first step toward success. Once the committee has been formed with pivotal executive sponsors and stakeholders, the next step is strategic and tactical alignment. Successful ITFM projects begin with clearly defined strategic goals, supported by aligned tactical goals and plans. Many projects are derailed by a misalignment of strategic and tactical goals or even outright disagreement between IT leadership – who is responsible for defining the strategic goals – and ITFM staff – who are responsible for executing against those goals. Sometimes this disconnect is the result of poor communication, unrealistic expectations or understanding, or other reasons. Not surprisingly, it results in failed projects and wasted financial and political capital. Guard against this by developing a solid strategic plan, communicating it with the stakeholders, and inviting feedback and discussion before embarking on an implementation. The strategic plan should include several elements: a mission statement, major long-term goals, as well as a multi-year roadmap that spells out a timeline and identifies several phases. The plan should be grounded and provide time for up leveling the organization and adapting to cultural change. When IT spend is unclear, customers and business partners often see IT as a cost center. Costs may not align with their expectations. But by explicitly showing what goes into a particular service or product, IT can highlight the true costs, the benefit for the customer, and help adjust their perspective. Some customers may see their annual cost increases without a perceived change in value. For example, a 5% increase may reflect a 25% usage increase – IT actually drove costs down. Giving customers insight into usage and cost metrics clarifies what they are getting versus what they perceive they are getting. Showing how IT costs are calculated, and how an IT investment will directly impact your customer’s business, like supporting revenue growth, gaining efficiencies, or expanding a capability will establish IT as a trusted partner and away from constantly defending the IT budget to being part of strategic business conversations. When the cost is free, demand is infinite. Showbacks and chargebacks force valuable conversations around business results and tradeoffs. Common goals are focused on improved decision-making, influencing behavior, and improving customer relationships, all with cost transparency. Ensure you are spending properly in key IT functions like security, service desk, and end user compute by benchmarking externally. In addition, track costs over time with internal benchmarking. Last, understand how your service unit rates stack up against outside suppliers like Amazon, Google, and Microsoft Azure. Hold weekly status update meetings: Bring together senior leaders and key stakeholders. These audiences must be consistently informed and take part in key decisions related to methodology, approach, and implementation. If not, their varying levels of awareness can stall decisions and impede progress. Develop a multi-year roadmap for your strategic plan: Identify several phases, with each delivering key capabilities and improving the level of ITFM maturity. Include appropriate communications inside the organization and identify different stages of deployment. Include people outside the ITFM group: Invite IT staff, business representatives, and the executive team to meetings. Consistent buy-in from stakeholders will increase long-term success of the program. Slowly introduce the program: It can be time-consuming to fully deploy an ITFM program. In addition, the initiative inevitably leads to significant cultural change. Trying to do everything at once can lead to resistance and, ultimately, a failed program. Instead, slowly introduce the program so people can adapt at a comfortable pace. Communicate the value of IT: When customers fully understand the context of their IT service costs, they can make smarter decisions and have more control. Align spend with business value: Show how every IT dollar spent — especially for new capital –delivers a specific business value. Improve efficiency: Provide an ITFM tool that automates data gathering, calculations, reporting, and even some level of repeatable analysis. The IT Finance team will operate more efficiently with increased responsiveness. Appoint a single Project Manager who will own the project and serve as the primary point of contact for the ITFM vendor. 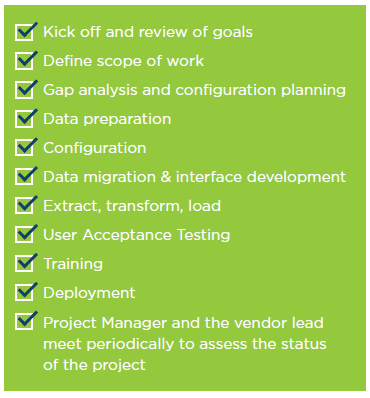 After kickoff, the Project Manager should work with the vendor to develop a project plan. Once strategic and tactical alignment has been reached, you’re well on your way to a successful ITFM implementation. But, true progress begins when you can demonstrate the value of your ITFM tool and program. Not sure how? In our next blog, we’ll share some quick advice on showing value and gaining internal program champions. Don’t want to wait? Download the full eBook now.